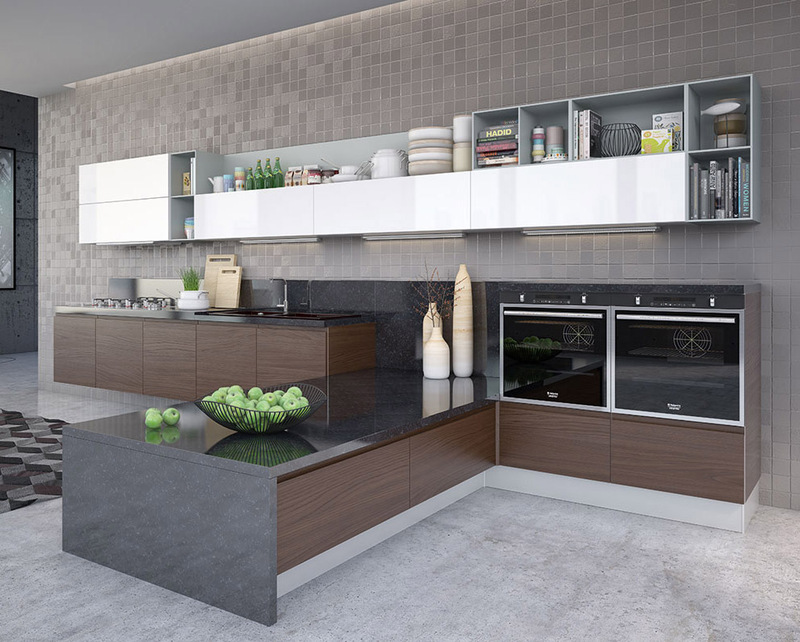 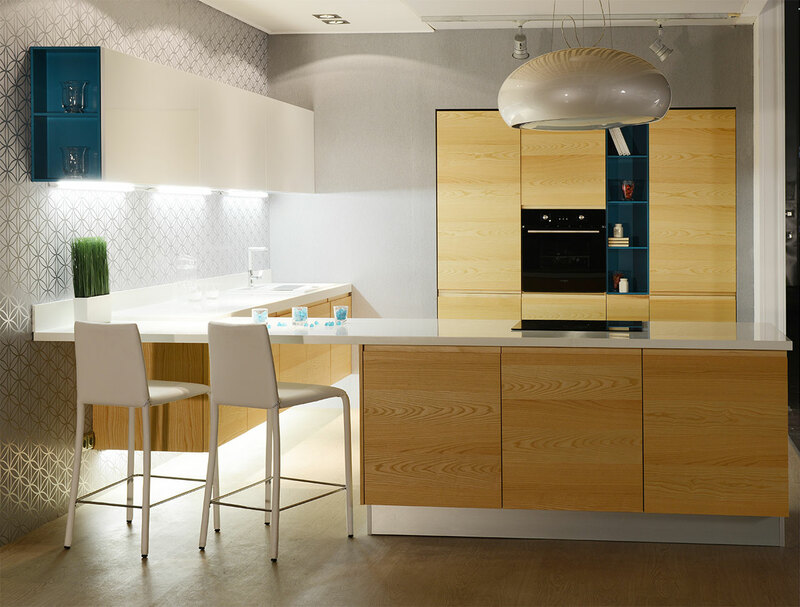 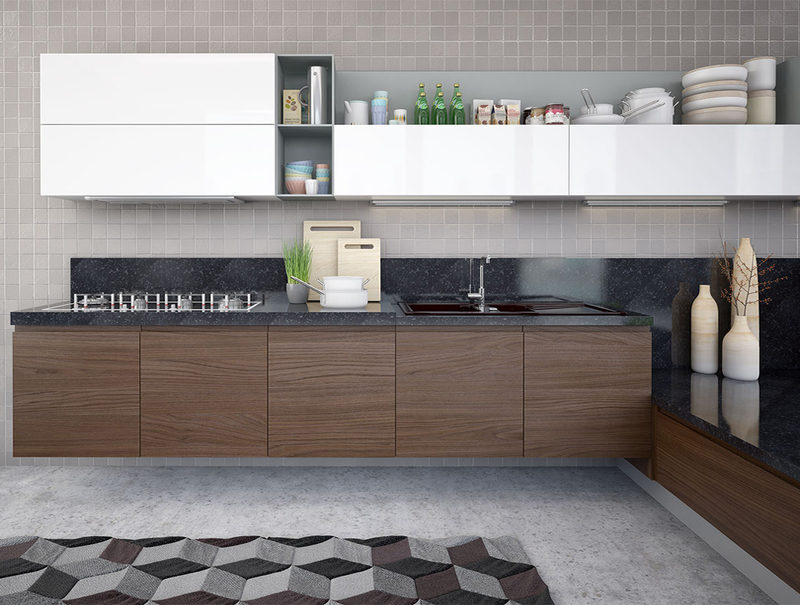 The Fusion kitchen successfully combines a traditional texture of wood with a modern-style fronts and accessories. 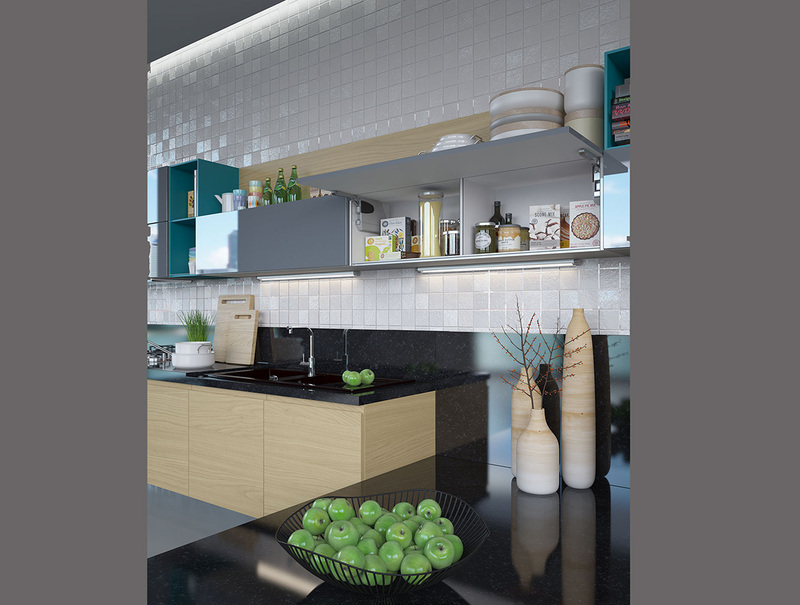 Strict lines of the front are complemented by an aluminum extruded (profile) handle. 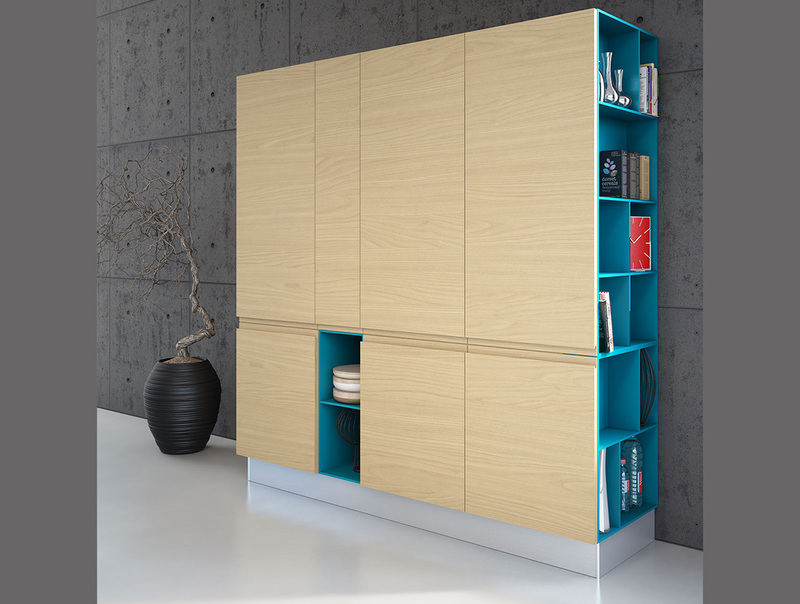 It is naturally integrated in the front while making its extension and emphasizing the warmth of wood by a soft metal shine. 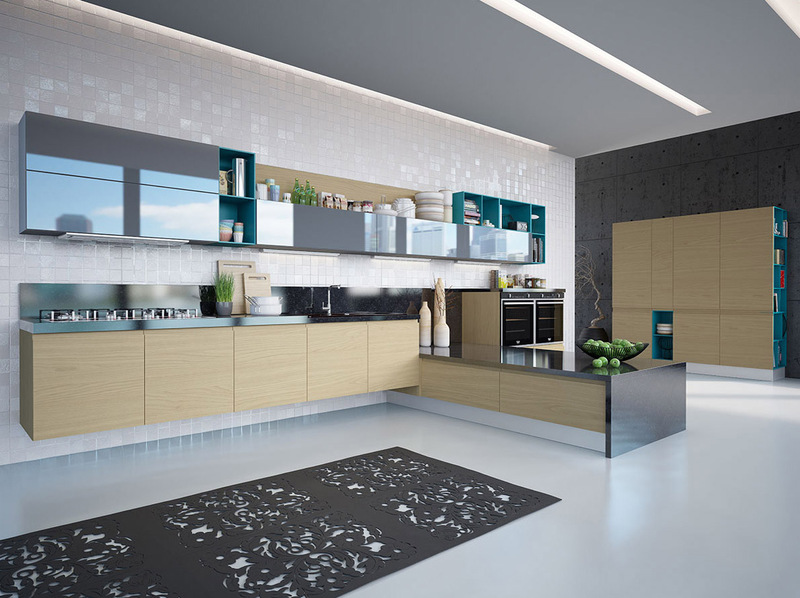 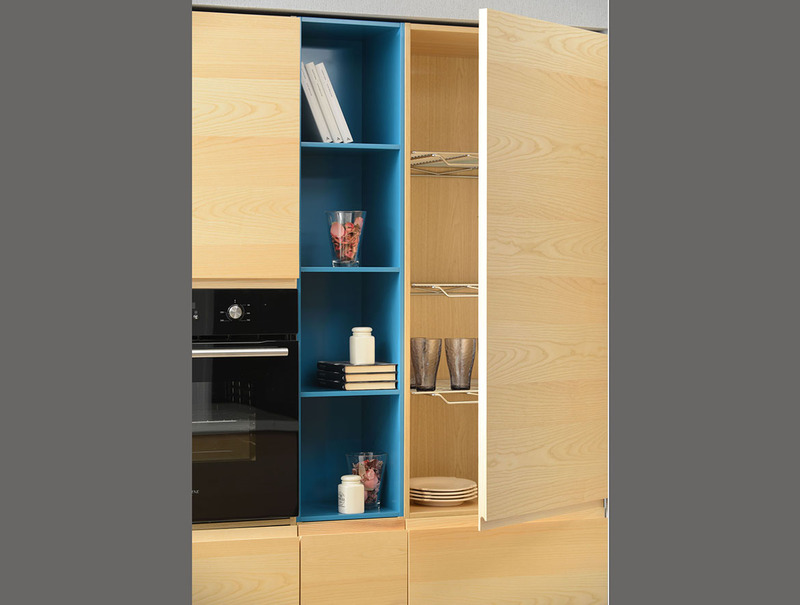 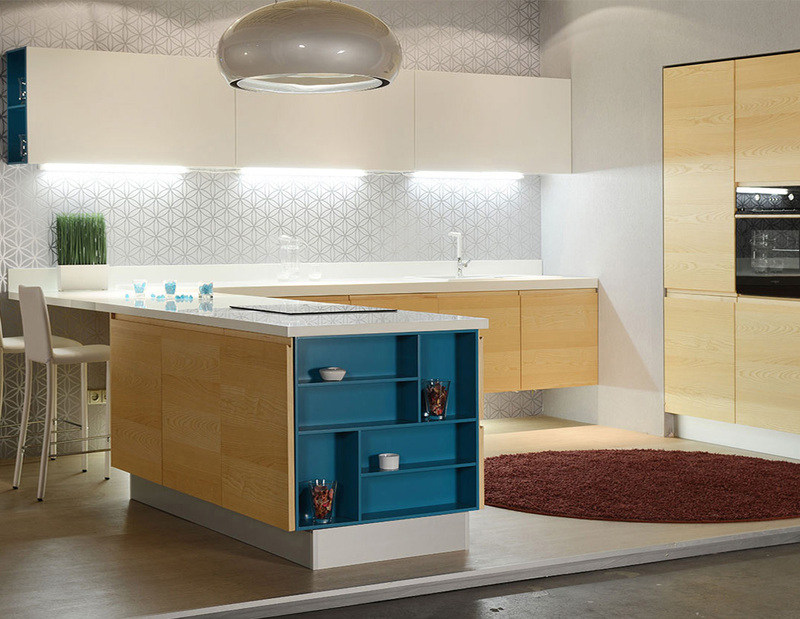 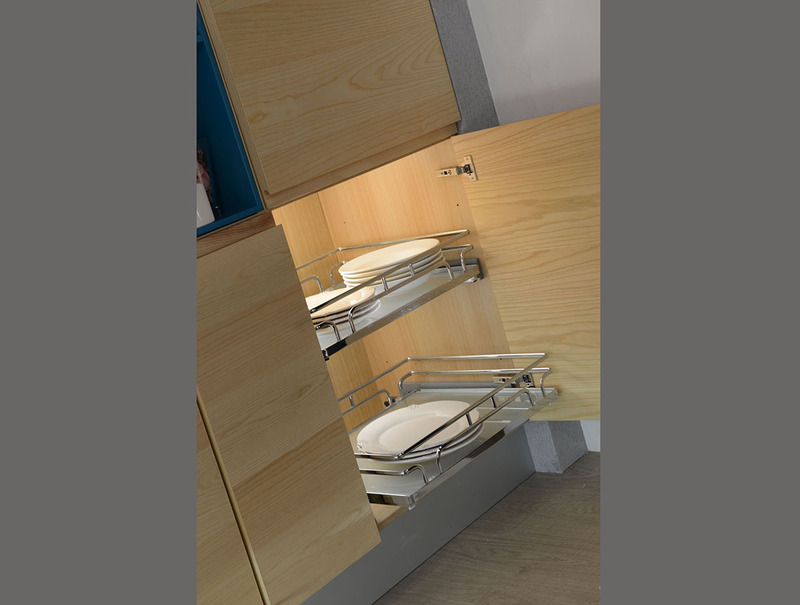 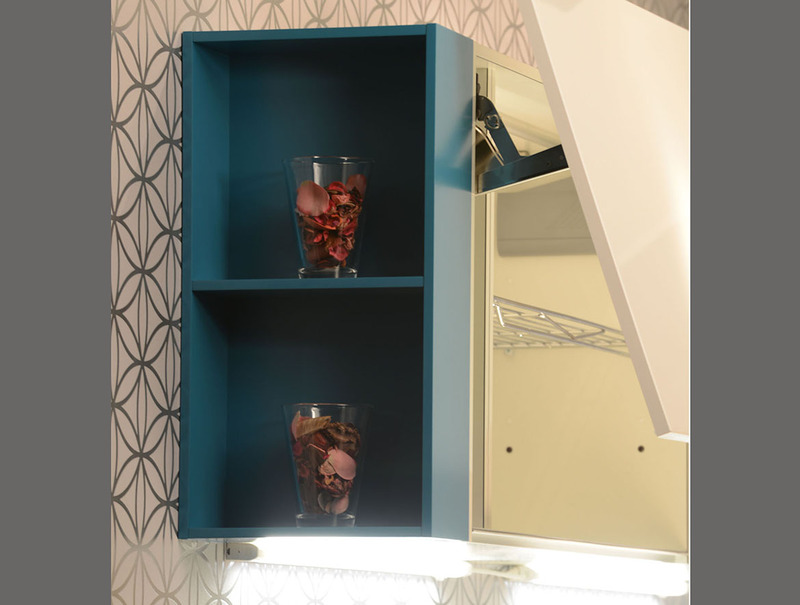 A combination of the best materials and durable countertops, convenient design characteristics, modern cabinet hardware, under cabinet lighting, mounted equipment, ergonomic opening systems of doors and drawers – all these details shape the Fusion kitchen.